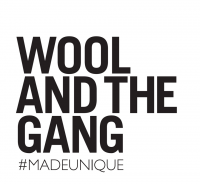 Wool And The Gang is a do-it-yourself and ready-to-wear fashion brand for women, men, kids and babies. Our do-it-yourself kits contain everything you need to get started with knitting. The ready-to-wear pieces are unique, they have been hand knitted by wonderful artisans in Peru.